City Councilor Andrea Campbell, coming off her freshman term on the council, said Saturday that she has garnered unanimous support to become the next council president on Jan. 1. The announcement brings a swift resolution to a traditional council debate that could have been divisive — several councilors expressed interest in the position only weeks ago. “I’m extremely grateful, and honored, to have the support of all of my colleagues,” said Campbell, who represents Mattapan and Dorchester, parts of Roslindale, and Jamaica Plain. She said in an interview that she plans to use the council presidency to highlight issues affecting those neighborhoods, such as income equality and affordable housing, while also focusing on policy issues such as new technology for council offices. 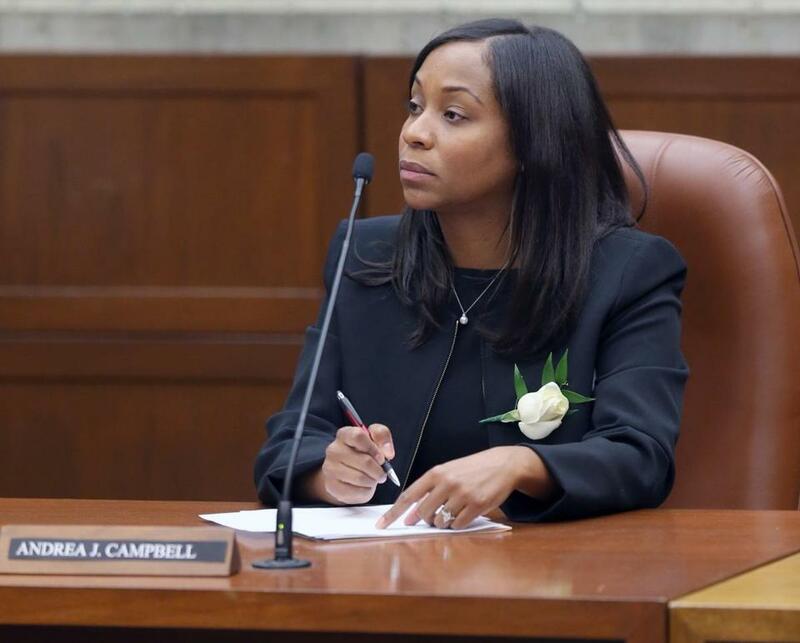 Campbell, 35, will also be the first African-American woman to lead the council — the most diverse in the city’s history, with six women of color. They are slated to meet in a forum sponsored by the Globe Monday. “As a smart, passionate, leader, Andrea will continue to propel Boston forward, and I look forward to working with her and the City Council,” said Walsh, who will be sworn in for a second term on Inauguration Day. Campbell, who grew up in Boston, graduated from Boston Latin School. She later earned degrees from Princeton University and UCLA School of Law. Prior to her election, she served as deputy legal counsel for former governor Deval L. Patrick. “While we celebrate firsts, there is much work to be done. As we move ahead, I am committed to increasing the Council’s transparency and accessibility, to implementing innovative tools and technologies to more efficiently deliver constituent services, and to elevating the ideas and experiences of residents who feel like they are not heard in City Hall,” she said. She will officially be elected on Inauguration Day, which this year falls on New Year’s Day. Campbell will replace at-large Councilor Michelle Wu, who must step aside after her two-year term as president. A president, by city rules, cannot serve more than two consecutive years. The presidency is largely seen as a symbolic position, the ceremonial leader of the 13-member council. Wu has said before that the president’s duties can be as detailed as overseeing administrative duties and coordinating facilities projects, such as the renovation of City Council chambers, to setting up council committee assignments and establishing chains of communication among all 13 councilors and the mayor. But, the council president does wield some power through a larger office budget. And, if the mayor is unable to serve for any reason, or if the position becomes vacant, the council president steps into that role. In July 1993, then-City Council President Thomas Menino became acting mayor after then-Mayor Raymond L. Flynn was appointed the US ambassador to the Vatican. Menino was elected that November to a full four-year term as mayor and went on to serve a historic five terms. Correspondent Jacob Carozza contributed to this report. Milton Valencia can be reached at Milton.Valencia @globe.com. Follow him on Twitter @MiltonValencia.